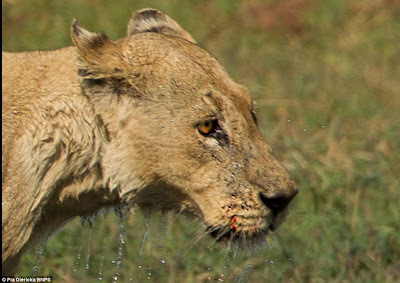 Scanning the surface of the water, her amber eyes alight upon a threat to her pride - a deadly crocodile lurking in the river that the family of lions must cross. 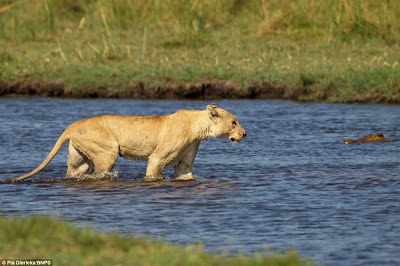 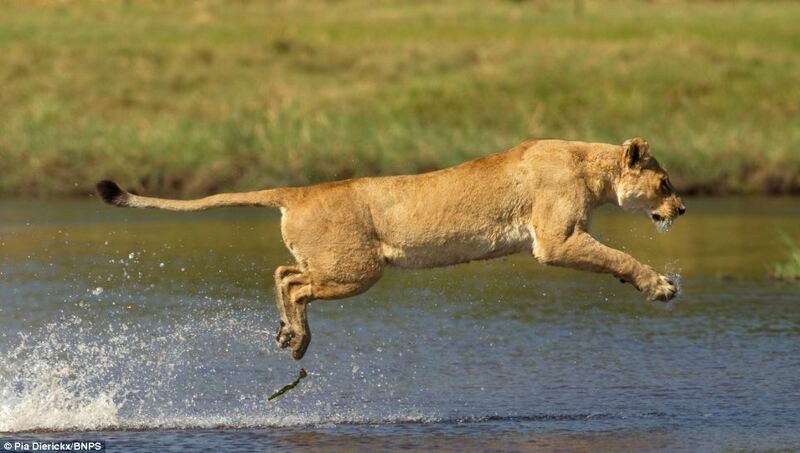 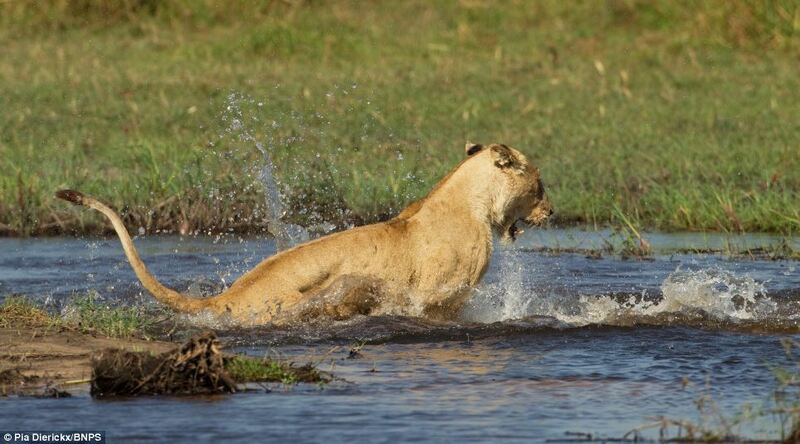 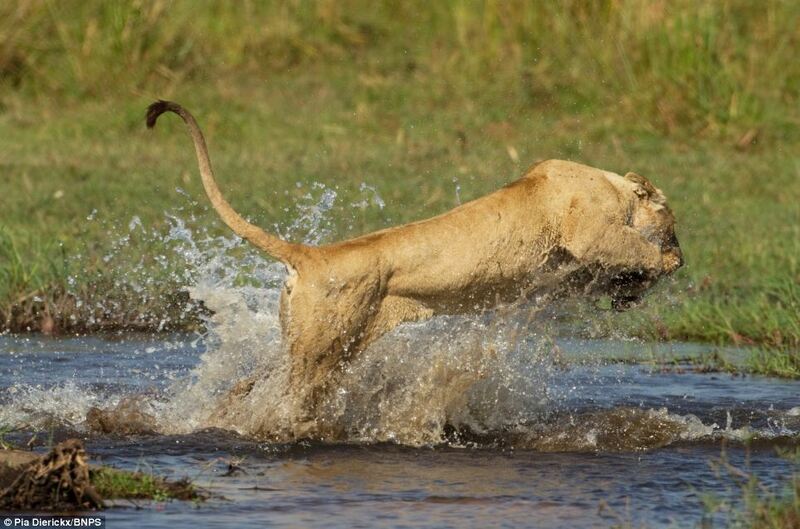 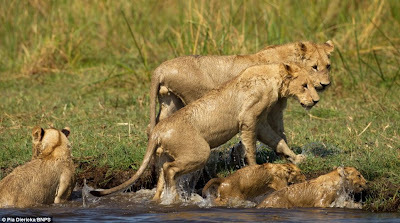 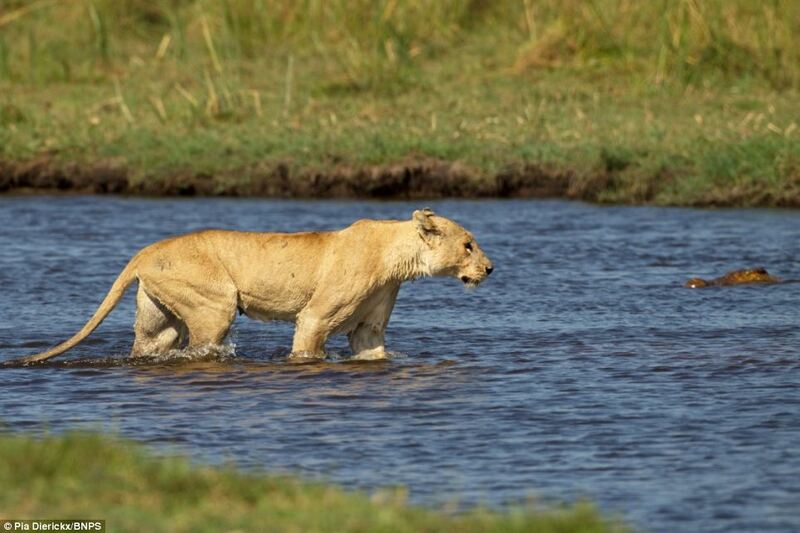 The fiercely protective lioness did not hesitate, leaping into the water and grappling with the reptile to allow the rest of the pride to cross the river in safety. These images show the magnificent big cat fastening her front legs around the crocodile's jaws and dunking it underneath the water before making a break for the river bank at the Okavango Delta in Botswana. 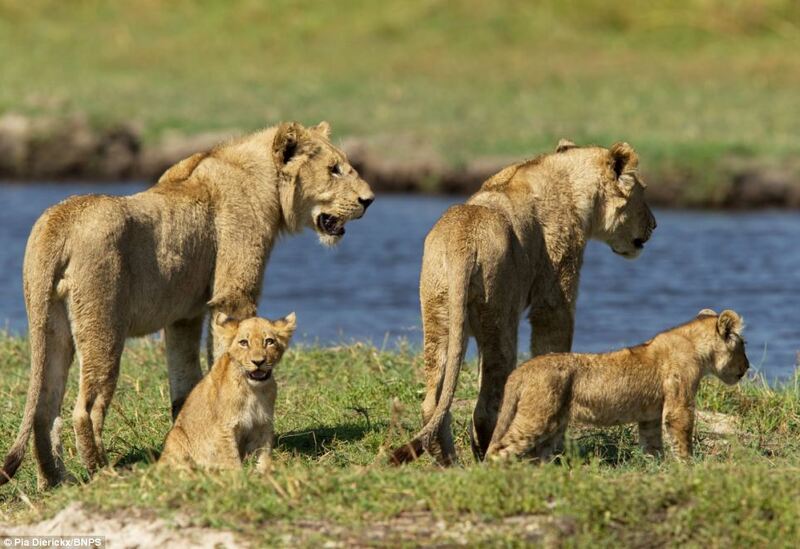 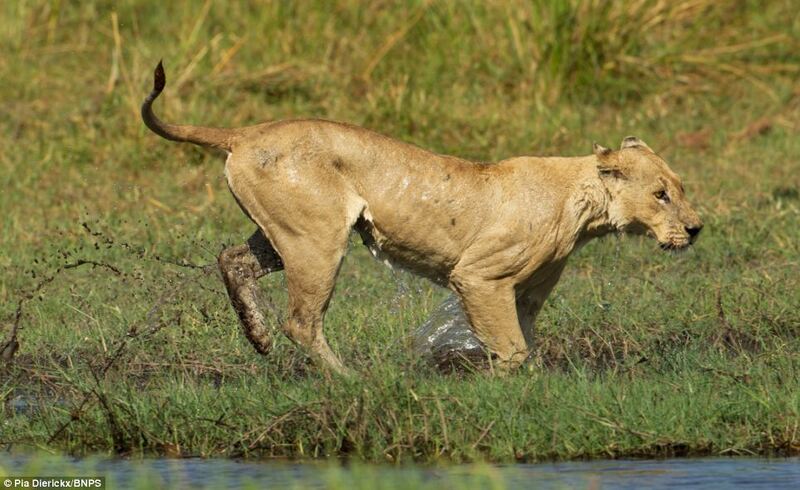 The lioness' brave diversion tactics were witnessed by wildlife photographer Pia Dierickx, who said the creature moved with such incredible speed she did not realise what had happened until she looked back at the pictures on her camera. 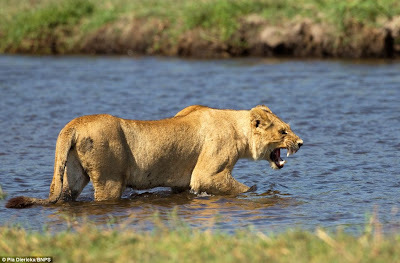 The photographer, from Antwerp in Belgium, had been peacefully observing the lioness and her pride going about their business around the river when the sudden clash between the big cat and the crocodile occurred. 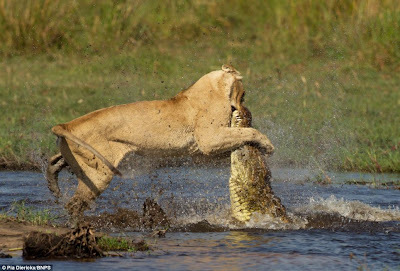 The 48-year-old said the struggle took place within one or two seconds.